Governor Andrew M. Cuomo today announced the award of three grants, totaling $19 million, to expand addiction services in New York State. The funding will be used to improve integration between primary and behavioral health care, expand and enhance medication-assisted treatment programs, and to expand services for pregnant and postpartum women diagnosed with a substance use disorder. The grants were awarded to the New York State Office of Alcoholism and Substance Abuse Services by the Substance Abuse and Mental Health Services Administration, and will be administered by the Research Foundation for Mental Hygiene. $10 million has been awarded to New York State under the Promoting Integration of Primary and Behavioral Health Care program. The funding will be disbursed over five years and will strengthen services for New Yorkers suffering from a substance use disorder, with specific focus on opioid use disorders. The project will integrate SUD treatment, primary health, and mental health, through partnerships with the Acacia Network and the National Center on Addiction and Substance Abuse, in the Bronx and Albany. The initiative’s primary goals are to build comprehensive, integrated care models into the three participating Opioid Treatment Programs; develop techniques for identification, intervention, and administering medication assisted treatment into the three participating primary care and mental health clinics; provide whole person care to more than 2,200 people with a substance use disorder, to improve physical and behavioral health outcomes; and collect and disseminate data about the pilot programs that will help other providers deliver similar services throughout the state. 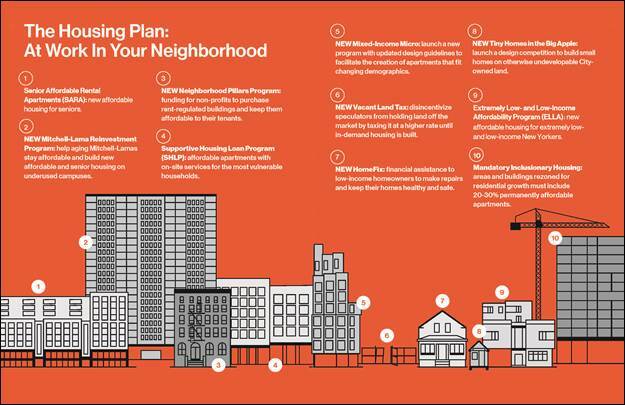 Community District 5, which covers the neighborhoods of Fordham, Morris Heights, Mount Hope, and University Heights. In District 1, services will be provided at the Ramon Velez Health Center, and in District 5 services will be provided at the Clay Avenue Family Health Center. Both districts were among the top five for opioid overdose deaths in New York City in 2016. Both were also designated as Health Professional Shortage Areas for Primary Care and Mental Health, as well as Medically Underserved Areas/Populations by the United States Health Resources and Services Administration. 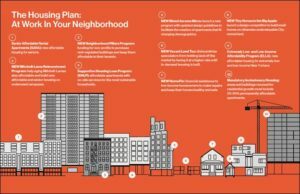 In Albany, OASAS will provide integrated services in the West Hill neighborhood. The hub of the services will be the Camino Nuevo OTP. According to the Capital District Community Needs Assessment in 2016, the West Hill/South End neighborhood had hospitalization and emergency department visit rates more than three times higher than the rest of the state outside of New York City. Albany County residents also had a higher than average prevalence of respiratory illnesses, diabetes, and infectious diseases. The funded organizations will increase capacity to provide Medication Assisted Treatment services in their regions and improve their ability to engage and retain people receiving care. Funding will also be used to increase staffing levels. The exact amount that each provider will receive will be determined at a later date. Providers were chosen based on the need for services in their areas and whether they had received funding to expand MAT services in the past. Each recipient will provide services on a regional basis. The third provider will be in New York City and will be selected through a future Request for Proposals. The amount of funding each provider will receive will be determined at a later date. The state will work with each of the selected providers to increase access to treatment for pregnant women and new mothers, and to provide gender-specific and family-centered treatment. Funding recipients were selected by reviewing providers with existing women’s programs and examining the number of pregnant women they admitted into treatment in 2016. Each provider will deliver services in their local area. NEW YORK—Mayor Bill de Blasio today joined local officials and residents in Long Island City to celebrate one million riders served by NYC Ferry and announce the that the fourth NYC Ferry route, connecting Astoria, Long Island City, Roosevelt Island, 34th Street and Wall Street, will launch Tuesday, August 29, the week before Labor Day Weekend. “It’s been less than three months and NYC Ferry has already served one million riders. As we prepare to launch the Astoria route, we continue to add capacity to this brand new and wildly popular system – one that connects transit-starved neighborhoods and commuters to jobs and the wider city,” said Mayor Bill de Blasio. Based on preliminary ridership projections, NYC Ferry was not anticipated to hit one million riders until August 23 – and will hit that today. Responding to the huge demand, the City already announced NYC Ferry is adding capacity to three of its 20 boats. The larger vessels will have bigger engines and hold up to 249 passengers, compared to 149 seats on the standard boats. Based on preliminary ridership numbers from Tuesday night, NYC Ferry will surpass one million riders the morning of Wednesday, July 26 – with more than 625,000 riders on the East River Route, 221,000 on the Rockaway Route, and 154,000 on the South Brooklyn Route. Weekday ridership across the three routes ranges from 8,000 to 12,000 riders. To celebrate one million riders, NYC Ferry is giving riders a chance to win a free annual pass. Anyone who activates a ticket on the NYC Ferry app between Friday, July 21 and Friday, July 28 will be entered to win. For more information go to https://www.ferry.nyc/1M/. In addition, NYC Ferry will be offering half price draft beverages – including cold brew coffee, beer and wine – throughout the day on all vessels equipped with Newstand concessions. “The overwhelming demand for NYC Ferry service has far exceeded the City’s expectations, affirming the ferry as a key component of building a reliable transit future for Queens. The predictability brought by the NYC Ferry has already been a boon for Queens tourism, economic development and investment along Queens’ coasts. It’s also provided fast and affordable transportation to hundreds of thousands of Queens residents, who have long been underserved by traditional mass transit,” said Queens Borough President Melinda Katz. “I am thrilled that the Astoria ferry service route will be officially opening on August 29th. With stops in Astoria, Long Island City, Roosevelt Island, East 34th Street, and Wall Street, this route will connect many different communities in the 12th Congressional District which I’m privileged to represent. NYC Ferry Service is a boon to commuters, tourists, and New Yorkers just trying to experience a new neighborhood. I’m proud to work with the mayor in support of expanding ferry service, which has served more than a million riders already. 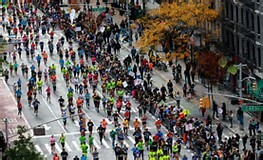 This is an important addition to New York City’s transportation options,” said Representative Carolyn B. Maloney. “Increased access to reliable transportation options, including ferry service, is among the most critical needs for western Queens residents. As we welcome new ferries, I will redouble my efforts to ensure our subway system improves during the current MTA crisis,” said State Senator Michael Gianaris. “I’m glad that Astoria will have now have a ferry landing and increased transportation options. Anyone from Greece, where ferries are ubiquitous, will tell you it’s a great way to travel. Being on the open water can be soothing and relaxing and beats being underground in a packed subway car any day,” said Assembly Member Aravella Simotas. “Since its launch, the NYC Ferry service has quickly become one of the most popular and effective transportation alternatives for residents, commuters and visitors. By investing in upgraded ferry stops and a mobile ticket system, our City has taken the steps to revolutionize our NYC transportation system to be more affordable, environmentally friendly, and accessible for New Yorkers on the go. Congratulations to everyone behind the NYC Ferry service for reaching this important milestone,” said Council Member Margaret Chin. “The Astoria NYC Ferry route will greatly serve residents in Western Queens, who have lacked reliable mass transportation options for years despite a growing population. We are excited to have this new, affordable service as an option to get around the City and we look forward to a successful launch in August,” said Florence Kouloris, District Manager of Queens Community Board 1. “As Lower Manhattan continues to transform into an increasingly 24/7 mixed-use neighborhood, it is increasingly important that we have ample and varied transit options for our residents, workers and visitors. 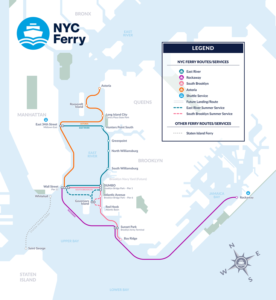 We look forward to the continued implementation of Citywide Ferry Service with the launching of the fourth route on August 29th which will further improve Lower Manhattan’s transportation network,” said Anthony Notaro, Jr., Chair of Manhattan Community Board 1. “The addition of ferry service for Roosevelt Island has been anticipated for many years as development continues and our population grows. Public transportation has been an issue here since the days when our aerial Tramway was the last two-fare zone in the City prior to being incorporated into the MTA MetroCard system. And our F-train subway continues to provide sporadic service especially on weekends. Ferry service returns us to the norms of prior centuries when travel by boat on the East River was our only option,” said Matthew Katz of the Roosevelt Island Residents Association. “RIOC is very excited to have NYC Ferry connected with Roosevelt Island, providing an additional mode of transportation for our commuters, especially as our Island’s population increases. What a picturesque way to go to work! We look forward to our first trip!” said Susan Rosenthal, President and CEO Roosevelt Island Operating Corporation. “We are so excited for the NYC Ferry Astoria route to launch at the end of August, just in time for Cornell Tech’s Roosevelt Island campus to open in September. The ferry will provide another seamless connection for island residents, students, faculty, staff, and companies at The Bridge to travel between Roosevelt Island, Manhattan, and the growing tech community in western Queens — all while enjoying beautiful expansive views of the city,” said Meghan French, Senior Director of External Relations at Cornell Tech. “The Hunters Point Park Conservancy is happy to support NYC Ferry which helps to alleviate the inundated 7 train. We look forward to welcoming NYC Ferry’s Astoria Route, and we appreciate the support NYC Ferry has provided the Hunters Point Park Conservancy,” said Rob Basch, President of the Hunters Point Park Conservancy. “The NYC Ferry Astoria Route will greatly enhance the quality of life for residents that live in and around the community. Commuting times to Manhattan will be cut in half, giving Astoria residents the opportunity to spend more time with their families and friends. Moreover, the new ferry route is going to provide affordable and efficient transportation that will reconnect New Yorkers with the City’s unrivaled waterfront scenery,” said Claudia Coger, President of Astoria Houses Residents Association. NYC Ferry, which will eventually be six routes, has so far launched three. The Rockaway and East River routes launched May 1. The South Brooklyn Route began operating ferries June 1. While the Astoria Route launches Aug. 29, the final two, the Lower East Side and Soundview routes, will launch next year. Detailed timetables, along with a map of all 2017 routes are available here. 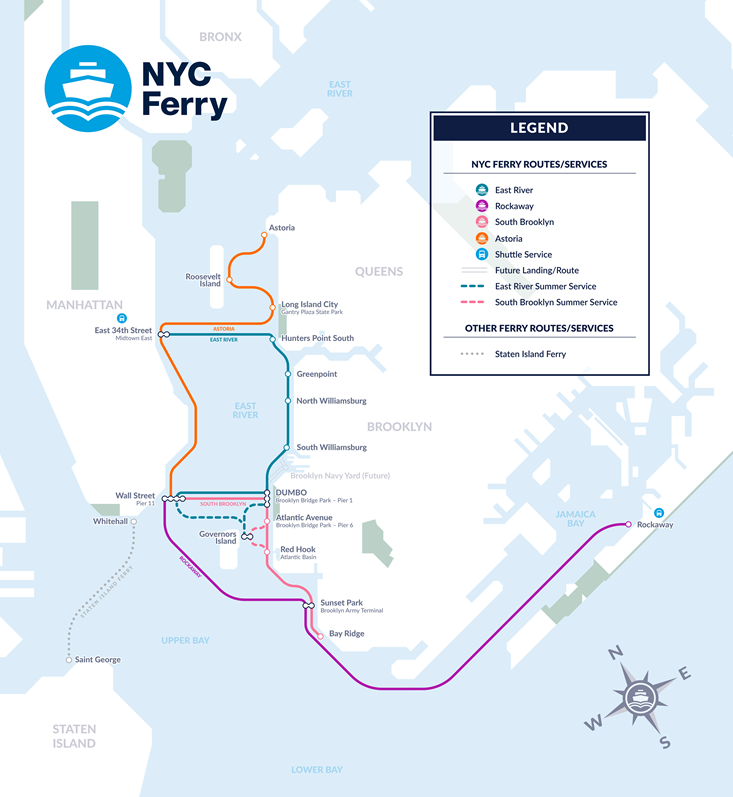 Once the NYC Ferry system is fully operational, the combined routes will cover more than 60 miles of waterway at $2.75 per ride, the same cost of a subway ride. The cost of a 30-day unlimited ferry pass is $121, mirroring the cost of a 30-day MetroCard. This price point builds on Mayor de Blasio’s commitment to ensuring that NYC Ferry is affordable to New Yorkers. Earlier this year, the City revealed names for what will ultimately be the 20 new NYC Ferry boats. Second graders with schools near ferry landings were invited to name the 2017 fleet of boats, selected names included Munsee, The Connector, Owl’s Head, Great Eagle, Happy Hauler, McShiny, Opportunity, and Flyer. Also, Lunchbox, Waves of Wonder, The Friendship Express, and Sunset Crossing. Ferry riders can download the NYC Ferry App to purchase e-tickets, allowing for easy scan-and-go boarding, and get detailed maps and schedules, as well as real-time notifications and service alerts. Use of the app provides a more environmentally friendly service by reducing the use of paper tickets, although ticketing kiosks are available at each landing. The NYC Ferry App is live and available for download in both the Apple and Google Play stores. NYC Ferry is hiring for various jobs, including captains and deckhands. Jobseekers can apply directly through Hornblower’s website, www.ferry.nyc. NYC Ferry will ultimately provide at least 200 jobs, all of which will pay the City’s Living Wage or higher and includes comprehensive benefits. See this link for a self-guided tour of NYC Parks via NYC Ferry. NEW YORK—The Mayor’s Office of Criminal Justice, New York City Police Department, and Department of Education today announced the expansion of school justice initiatives designed to minimize unnecessary court involvement for students and increase effective school-based interventions. The City also released the fourth quarter Student Safety Act data, showing that school-based arrests and summonses are continuing to decline as crime for the first half of this school year decreased by 7 percent compared to the previous year, reaching an all-time low. · The program gives NYPD officers and School Safety Agents the discretion to issue a “Warning Card” to students who are 16 years of age or older instead of issuing a criminal summons for two low-level infractions – possession of small amounts of marijuana and disorderly conduct – that occur on school grounds. · The pilot was launched in the fall of 2015 in 37 schools across 5 Bronx school campuses – Evander Childs, Adlai E. Stevenson, Walton, John F. Kennedy, and Herbert H. Lehman campus – and after just one year, there was a 14 percent decline (down from 133 in SY 2014-15 to 115 during SY 2015-16) in the number of summonses issued for small amounts of marijuana and disorderly conduct at these campuses. · This spring, the program is expanding to reach an additional 34 schools across 11 campuses: Richmond Hill High School, James Madison High School, South Shore Campus, Martin Luther King Jr Campus, Thomas Jefferson Campus, Washington Irving Campus, High School for Environmental Studies, Port Richmond High School, New Dorp Campus, Benjamin Cardozo High School, John Bowne High school. · This program provides an alternative to court involvement, while still holding students accountable for their actions through school-based interventions, including disciplinary measures and guidance interventions, and provides training and ongoing support for NYPD and DOE staff to ensure a successful implementation. · The program provides free legal assistance to students in clearing summonses, and provides “Know Your Rights” trainings to schools located in areas with historically high rates of summonses and arrests. · The number of summonses issued for quality of life offenses has declined and the City has streamlined the process to make responding easier — nearly four in ten summonses issued have historically resulted in a warrant for failure to appear in court, which can impact the likelihood of future detention. · As part of the City’s commitment to reducing unnecessary arrests, the program focuses on clearing summonses as an intervention to not only reduce arrests of school-aged youth, but also provide an opportunity for students to increase their understanding of the legal system and to address contact with the justice system immediately so it does not create collateral consequences in a young person’s life. · In partnership with the non-profit legal organization Youth Represent, the program launched in Evander Childs Campus in November 2016 and will be available to students Citywide this year. The NYPD also released the fourth quarter data pursuant to the Student Safety Act, marking the first full year of quarterly reporting by the NYPD and providing New Yorkers with data on school-based NYPD response, including arrests and summonses. This data increases transparency and accountability, and informs the public on areas for further attention to continuously improve safety within schools. Criminal incidents recorded by the school safety division for the first half of the 2015-16 school year are down 7 percent compared to the previous year. This reduction continues the downward trend in total index crime in schools, which has decreased by 35 percent over the last five years. “We are thrilled to be partnering with MOCJ and the DOE to provide critical legal services and Know Your Rights Trainings to students citywide,” said Executive Director of Youth Represent Laurie Parise. 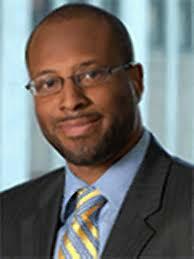 “I am pleased that there is a significant decline of crimes in our schools. I applaud the DOE, NYPD and all school officials for their efforts to ensure that our schools are safe spaces for all students. There is still much to be done to and we must all work together to achieve the goal of eliminating crimes in our schools,” said NY State Senator Roxanne J. Persaud.